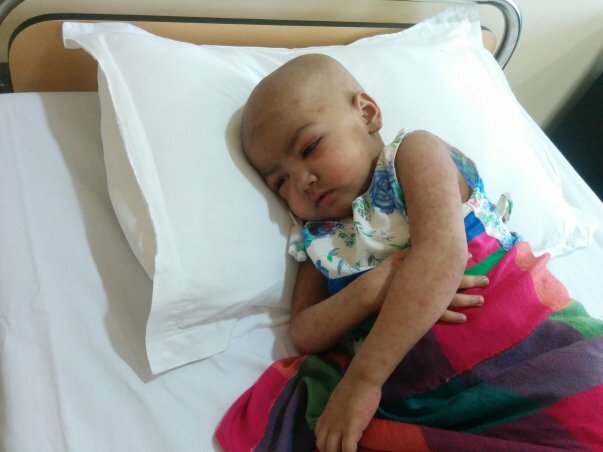 Ridhi received first chemotherapy for a month at Gangaram hospital (Registration No. 1499185), New Delhi, but we felt she wasn't getting the treatment and care she deserved. Thats when a friend recommended we look into the further Cancer Treatment at Dharamshila Cancer Hospital and Research Centre (Registration No. 78710) New Delhi. almost 1 year of treatment she had an early relapse from her transplant and her leukemia is back. Simply the Cancer is back and it is very aggressive. It can’t only be cure with only chemotherapy and cells infusion and she has to undergo with transplant again. But, Now again we are experiencing financial difficulties, we have to arrange more than 20 Lacs for Bone marrow transplantation following other cells therapies and treatments. We are not sure how it will be arranged but we do not have any other choice to even think. All support to us, no matter how small... in achieving this target would be hugely appreciated. So please dig deep, be generous and donate- thank you!! It's Combine efforts of all those involved with our cause that will help us to achieve victory over Ridhi's Cancer. Thanks to all of you for your continued support for Ridhi. Apologies for the delay in sharing this update. 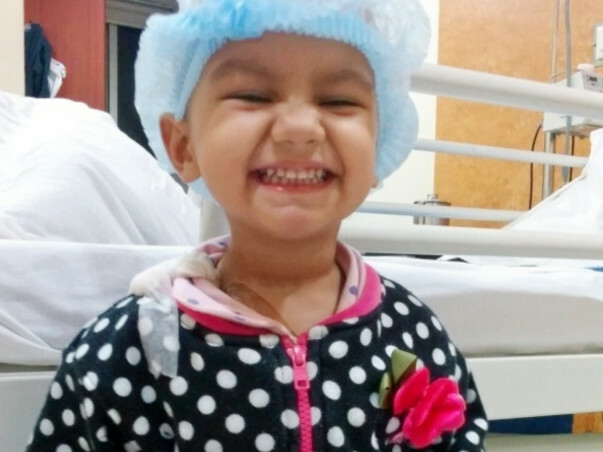 Ridhi's family has still not recovered from the shock of losing their daughter, but they wholeheartedly came forward to help two other patients with the funds raised for Ridhi. I want to thank everyone again for the support and kind messages. Apologies that I couldn't reply to some of you. Losing a child is every parent’s biggest fear and we did encounter that. For us, the fear became the reality. On October 7th 2015, Ridhi passed away. She was on her way to wellness, bravely fighting towards the harsh side-effects from 15 months of treatment. Never in my dreams, I believed that my Ridhi would be put to a test, but she was. I never believed we would be forced to walk away from our sweet, beautiful daughter whom we loved so much. All of you fought with us to save Ridhi. I am sure you will never forget her. Even though God took Ridhi away from us, I will continue to pray for these two. Thank you for everything! 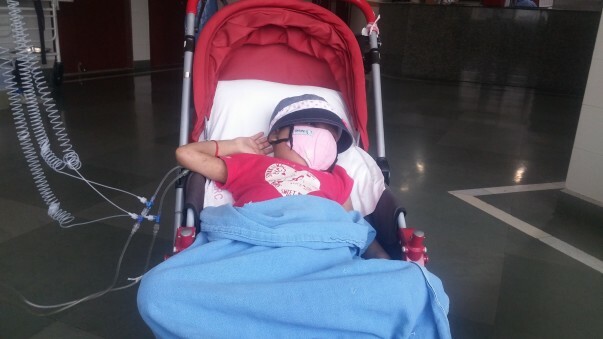 With your support, Ridhi stayed with us for some days and we will cherish those moments for the years to come. We have received unfortunate news of Ridhi passing away this morning at around 4 am. Our hearts go out to the little one who fought the deadly disease. May her soul rest in peace and her parents find solace at this difficult time. We yet to speak to Ridhi’s parents. Once we get a chance to speak to her parents, we will keep you updated on how the remaining funds will be utilized. We thank each and every one of you for your generous contributions and prayers. Sorry I haven't updated in a while. Well here we are, 14 months since diagnosis! 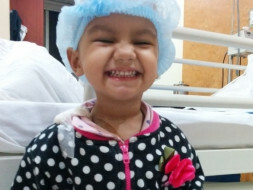 Over a year we spent at hospital since we got the devastating news that Ridhi has leukemia. She got discharged from the hospital couple of days back but again admitted for some infections. Unfortunately she is very puffy and extremly weak, unable to walk and can only stand for a few seconds. She also has developed Chronic GVHD symtomps rashes that started on his arms and have now spread all over his arms and back with a few on his face and head. Skin biopsy is done for 2 of them and still reports are awaited. Get well soon ridhi,u r lovely. Dear Ridhi, Get well soon! Keep smiling! Riddhi u r tooo cute. U will soon beat the disease and get well to brighten everyone's lives. N her parents don't lose hope and strength. Keep fighting n u vl definately win it for her.